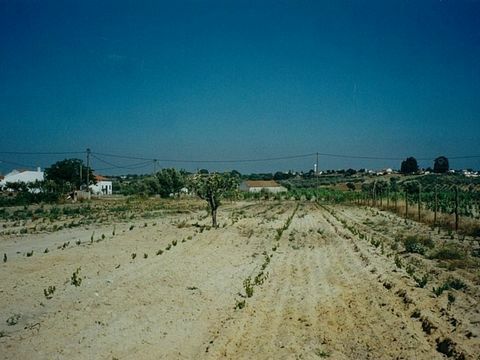 Mixed Land For sale Montijo. Rustic T7 Villa near a small town in Montijo, with incredible countryside views and close to famous vineyards and golf resorts. The spacious property has unique conditions, presenting 7 bedrooms (of which 3 are en-suite), 8 total bathrooms, games room and terrace. In the deck there is a huge heated pool, fantastic green gardens and even an orchard. The property already has solar panels and air conditioning to provide fantastic temperatures all year round. The villa is prepared both for housing purposes or for rural tourism property, due to its amazing location in the countryside, not far from Lisbon nor the Alentejo. 2 bedrooms Farmhouse for Sale. This Monte Alentejano comprises 15,000m2 of farmland with a variety of fruit trees and vines. It would be possible to expand the vineyard and farm sheep and goats. The land has outline planning permission for construction of a building of 800m2 and construction of a warehouse/barn of 200m2 has already been approved. There is water and electricity on site and the land is completely fenced. It has good access via two routes- one is a tarmac road and the other a dirt track. It is within easy reach of the A2 motorway and the TGV railway and will be just a short drive from the new International Airport. The farm is 30 minutes from the seaside city of Setubal and 45 minutes from the current Lisbon airport and the capital. 3 bedrooms Farmhouse for Sale. Plot of land for construction of building of ground floor and 2 floors. 6 bedrooms Farmhouse for Sale. Farm 3 Bedrooms For sale Montijo.